I recently acquired a Charlies Angels solid state. When I first got it, it would boot up but not start a game. I re-pinned connectors A1-J7 and A1-J6 on the CPU, cleaned and re-flowed all the contact pads and did the ground mods for all 3 boards. The game then worked. I was playing for about 5 minutes and testing all the switches and coils. Everything seemed to be working but it started making some strange noise from the speaker so I shut it down. I unplugged everything and started over again with the www.pinrepair.com system 1 guide. 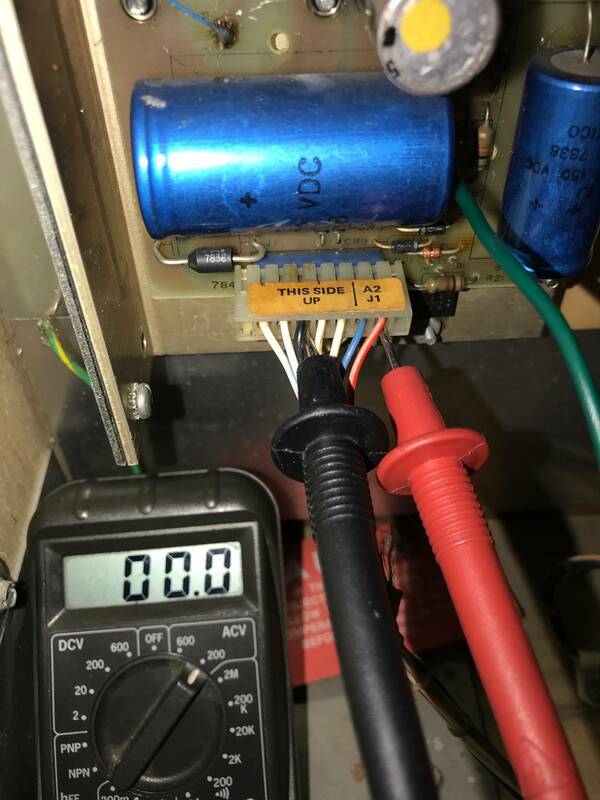 All the fuses check out fine and are the right amperage. The bridge rectifiers also check out fine. 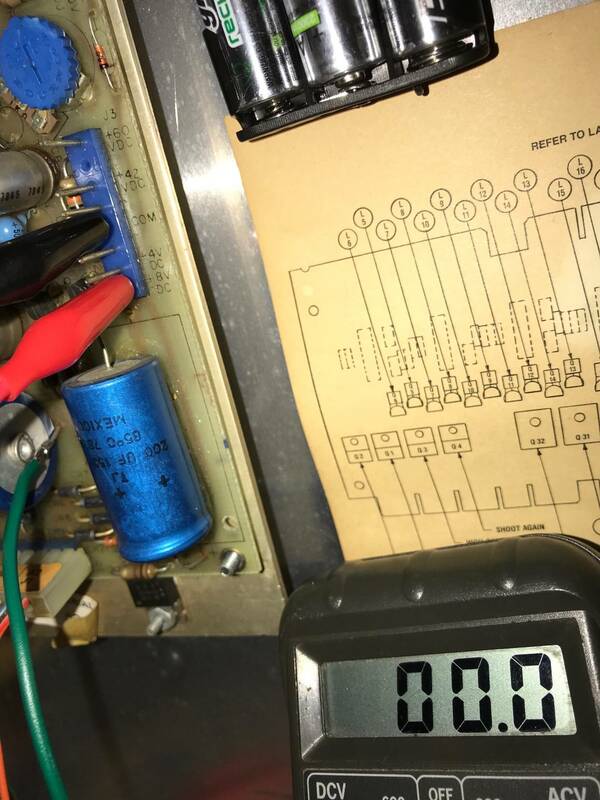 When testing the input voltages at the power supply connector I have the 11.5v and 14v but the 69v is reading 0v. 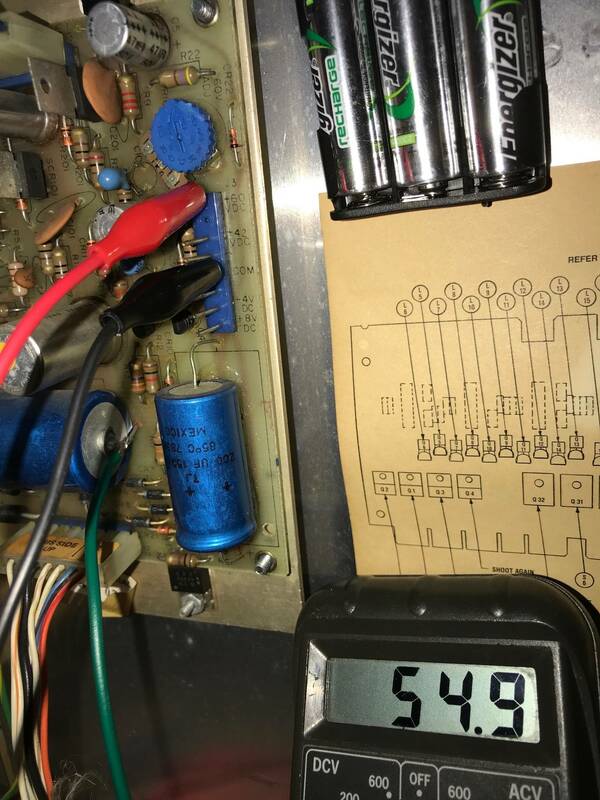 I'm missing the +4 and +8 volts at the A2-J3 output. +5v and -12v output to CPU are perfect. 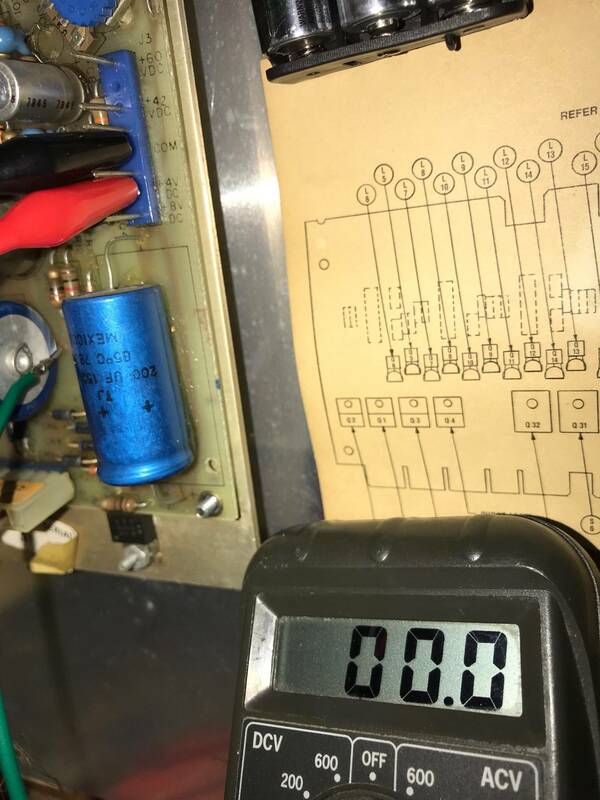 What would cause the missing 69v AC at the power supply input? 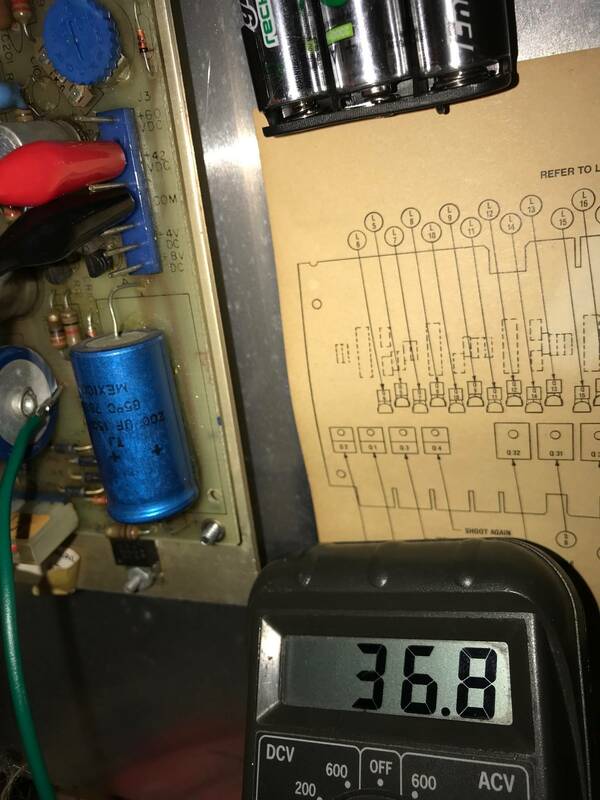 Ok, so I measured pin 6 to 7 and am getting 69v and the missing 4 and 8 volts was my mistake. The power supply is working correctly. I plugged everything back together and the game plays again. It does have some strange behavior though. It doesn’t want to add a second player most of the time and when it does, the playfield GI goes out like it’s been tilted. When I push the start button again, it resets and goes back to a one player game. I’ve never been able to get more than a 2 player game going. Also, the diagnostics botton on the inside of the coin door does nothing. Also, the diagnostics botton on the inside of the coin door does nothing. Try shorting the tabs on the switch. If that works, the internals of the switch may be corroded and you might need to replace it. Pbresource has them. Cherry e69 switch, if I remember right. E69-00A; with links to jameco, digikey, and mouser. After reseating the connectors it is *mostly* working 100%. The only things now that don't work are the coin slot 2 switch and the coin door slam switch. I can start a 4 player game, get to the diagnostics menu and that's good enough for me. Thanks for all the input, guys! Oop's, Cheddar guy made that list it appears. (See... I'm unorganized...but it is 5 in the morning) Props to Cheddar guy.